MOVE IN BEFORE AND GET $400 OFF YOUR FIRST FULL MONTH S RENT. Carport parking! 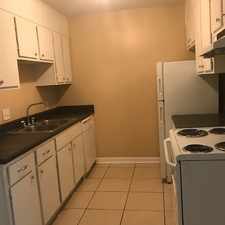 This apartment is in Bessemer. Nearby parks include Watercress Darter National Wildlife Refuge, Snitz Snider Memorial Stadium and Roosevelt Park. 820 Ridge Lane Drive has a Walk Score of 42 out of 100. This location is a Car-Dependent neighborhood so most errands require a car. Receive half month's rent free your first full month when you lease and move in before May 5th! This one level home offers 3 good-sized bedrooms and 2 full baths. It has a large living room and separate den! With two storage rooms in the carport, this is the home you've been waiting to see! Explore how far you can travel by car, bus, bike and foot from 820 Ridge Lane Drive. 820 Ridge Lane Drive is in the city of Bessemer, AL. Bessemer has an average Walk Score of 26 and has 27,456 residents. Beautiful three bedroom two bathroom brick home! Ready for New Residents! 5/2.5 in Hueytown!